The Green Toys Airplane is one aircraft, Mother Nature is happy to clear for take off. 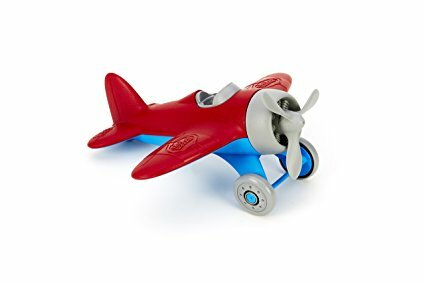 Made in the USA from 100% recycled plastic milk jugs that save energy and reduce greenhouse gas emissions, this single-seater plane features a spinning propeller, two-wheeled landing gear and racing stripes on its rounded wings. Imaginations will soar to new heights as pilots-in-training practice loops, rolls and spins with this flyer. The lightweight design and tapered, easy-to-grasp body shape let even the littlest aviators ascend through flight school with ease. No BPA, phthalates, PVC or external coatings, and also meets FDA food contact standards. Packaged with recycled and recyclable materials and printed with soy inks. 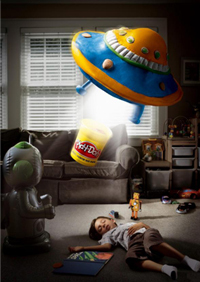 Recommended for ages 1 and above. 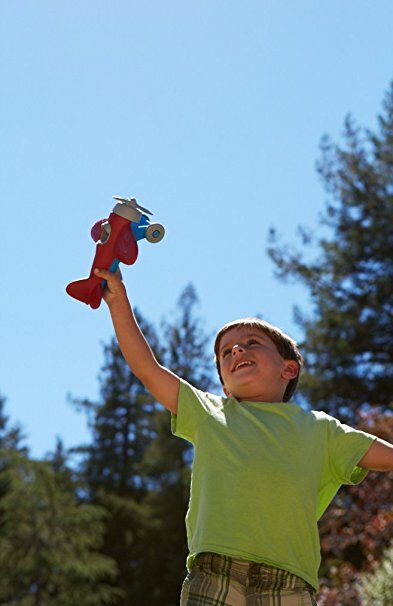 Dimensions: 9"L x 9"W x 4"H.
The Green Toys Airplane sports a fun blue-and-red design and features a spinning propeller, two-wheeled landing gear, and racing stripes on its rounded wings. Imaginations will soar to new heights as pilots-in-training practice loops, rolls, and spins with this eco friendly flyer. 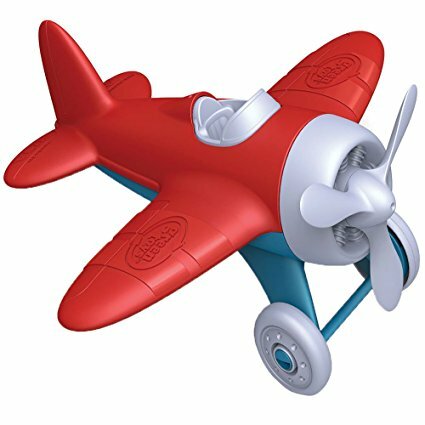 The lightweight design and tapered, easy-to-grasp body shape let even the littlest aviators enjoy this toy and the imaginative adventures it encourages them to create. The Airplane is constructed entirely from recycled plastic milk jugs (HDPE #2 plastic), making it an environmentally responsible product. 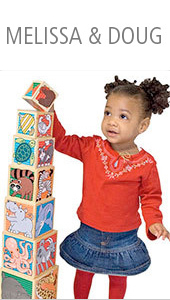 As sturdy and durable as toys come, it is designed to withstand active play. 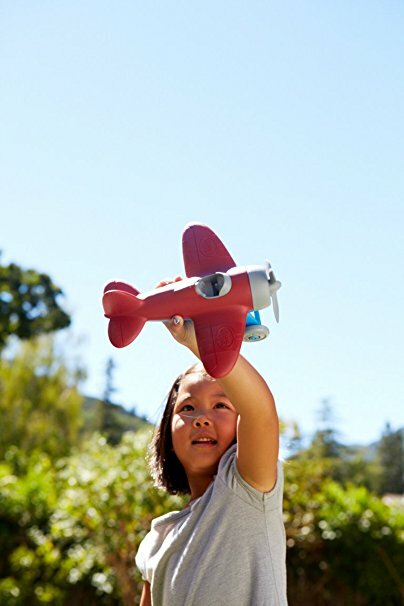 The packaging is also made from recycled materials, printed with soy inks, and contains no plastic films or twist ties.Use the Airplane to teach your child about recycling, helping the environment, saving energy, and reducing greenhouse gases. By showing that environmental responsibility can be fun, you can encourage your child to protect and respect nature. 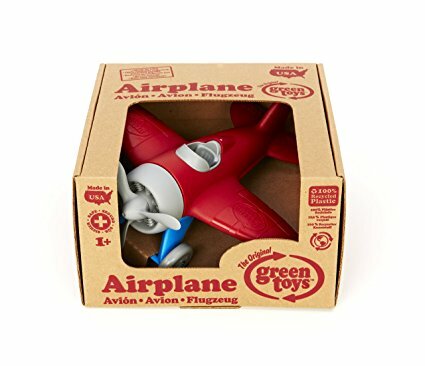 Manufactured in the USA with a tight, local supply chain that minimizes transportation emissions and supports the domestic economy, the Green Toys Airplane adheres to FDA standards and contains no BPA, lead, phthalates, or other harmful substances or external coatings. 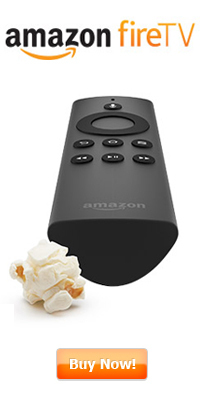 It is safe for use around food and is dishwasher safe for easy cleaning.